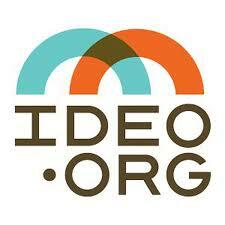 EDTECHGINEER BLOG: Tim Brown, IDEO, and "Design Thinking"
Tim Brown is the current CEO of IDEO (www.ideo.org), an organizational design firm. In this role, he focuses on empathy and the needs of the end user in design. Design thinking is less of a sequential form of steps in design but more of an overlapping of thought and creativity. Design thinking is considered a tool for tackling problems by looking at the needs of people, utilizing technology in a constructive way, and using these attributes for business development success. A strong emphasis is placed on emotional meaning and solving problems in a collaborative environment with a focus on constructive and effective teamwork. I can see the concept of design thinking working well in an educational environment as well...most teachers are in the profession because they are passionate about helping others achieve their goals. The empathy factor is already there, and the craft would be to take what is learned about student needs and focusing on the technologies available and finding ways to help them to be successful. I think it is fascinating to find how these principles applied to the business world have a place in developing authenticity in curriculum for students.